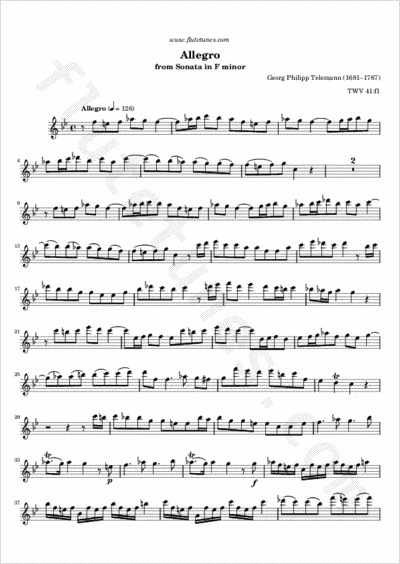 Here is the second movement of Telemann's Sonata in F minor for bassoon and basso continuo. It is an Allegro in ternary (A-B-A) form which shows a particular rhythmic interest, in that key moments in phrases often occupy unexpected beats of the bar. As a fast movement, it is somewhat virtuosic, especially when the semiquavers come in. Be prepared for them!